Everyday Home brings you everything you need for a clean bathroom in one convenient 4 piece set. 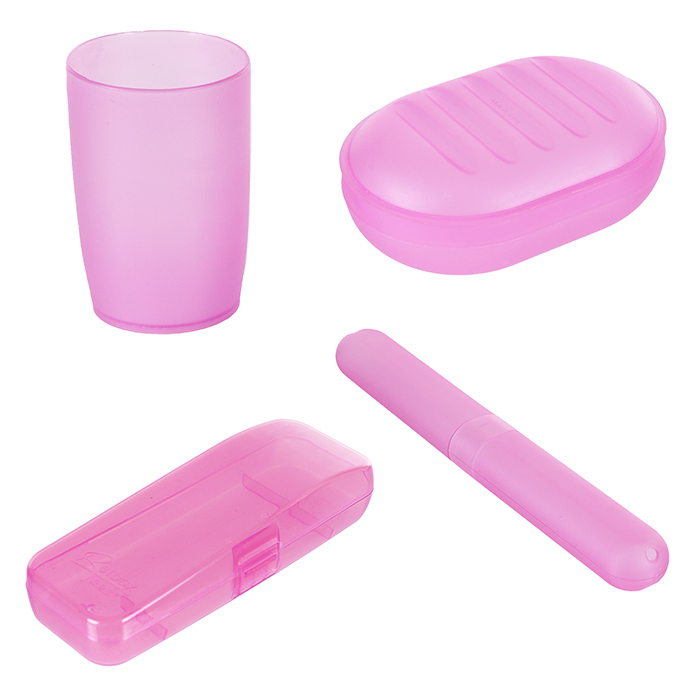 Featuring a toothbrush case that protects from airborne germs, a soap case that doubles as a soap dish, a razor case to safely store sharp razors, and a handy cup. Use Everyday Home's versatile 4 Piece Bathroom Accessories Set in your home bathroom, or pack the convenient toiletry cases in your suitcase next time you travel!